My neighbor Pat gave us these ‘snowballs’ during the winter holidays. They are so good that I have to ask her for the recipe. Thank you Pat for this easy and time-tested recipe. Again, soooooo gooood! They make perfect valentine’s gift too! In a standing mixer, cream together the butter and sugar. Sift flour 3 times and blend into the butter mixture. Add chopped pecans and vanilla, stir on low speed until blended. 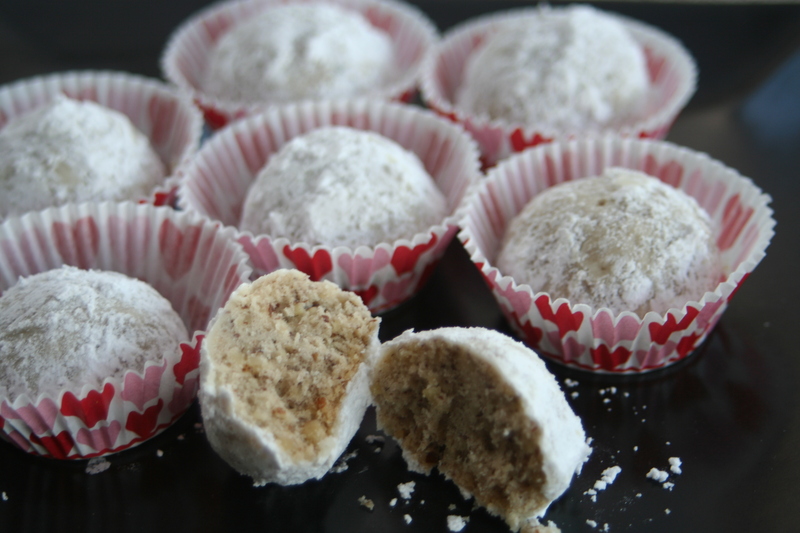 Divide dough into 1/2 inch balls using a small cookie scoop. Place on a baking sheet and bake for 1 hour. 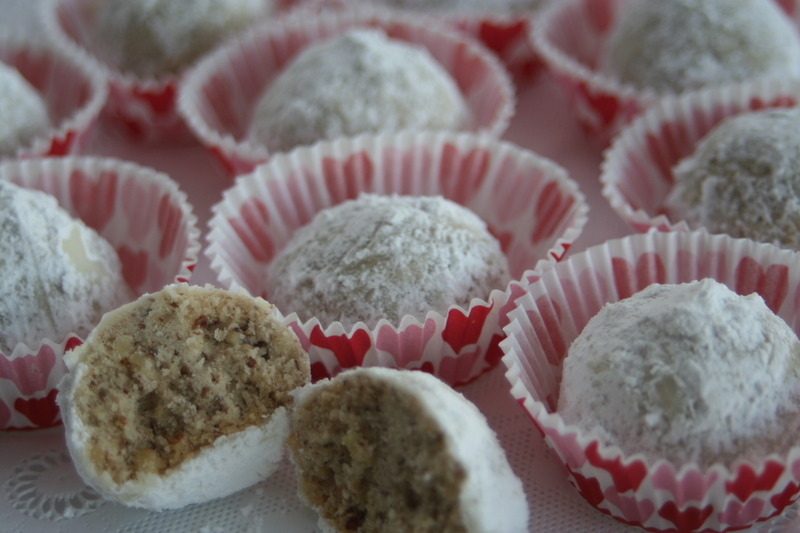 While still warm, roll in sifted powdered sugar. Roll again in powdered sugar when cooled. Store in a air-tight container.